b. 1 Nov. 1782, 2nd s. of Thomas Robinson†, 2nd Baron Grantham, by Lady Mary Jemima Yorke, da. and coh. of Philip Yorke†, 2nd Earl of Hardwicke. educ. Sunbury; Harrow 1796-9; St. John's, Cambs. 1799; L. Inn 1802; to France 1802. m. 1 Sept 1814, Lady Sarah Albinia Lousia Hobart, da. and h. of Robert Hobart*, 4th Earl of Buckinghamshire, 2s. 1da. cr. Visct. Goderich 28 Apr. 1827; Earl of Ripon 13 Apr. 1833. Private sec. to ld. lt. [I] 1804-6; sec. to embassy, Lord Pembroke's mission to Vienna 1807; under-sec. of state for War and Colonies May-Nov. 1809; ld. of Admiralty July 1810-Oct 1812; PC 13 Aug. 1812; vice-pres. Board of Trade Sept. 1812-Jan 1818; ld. of Treasury Oct. 1812-Nov. 1813; jt paymaster-gen. Nov 1813- Aug 1817; sec. to Lord Castlereagh at Congress of Chatillon 1814; pres. Board of Trade Jan. 1818-Feb. 1823, Sept. 1841-June 1843; treasurer of navy Feb. 1818-Feb. 1823; chancellor of Exchequer Jan 1823-Apr. 1827; sec. of state for War and Colonies Apr.-Sept. 1827, Nov. 1830-Apr. 1833; first ld. of Treasury 3 Sept. 1827-26 Jan. 1828; ld. privy seal Apr. 1833-June 1834; pres. Board of Control May 1843-July 1846. 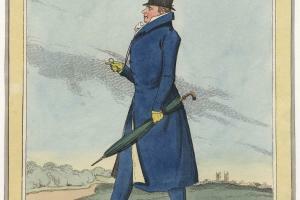 On 27 Feb. 1812 Robinson 'highly distinguished himself' in his rousing reply to Turton's censure motion. Robert Ward, who called it 'the best young man's speech I ever heard in Parliament', claimed that 'in the appearance of an old and able debater' he outstripped his contemporaries, not excepting Peel, one of the young ministerialists with whom Robinson consorted at the Alfred Club. Lord Mulgrave 'said there was nothing to which Robinson might not look'. Apart from this, however, he had interrupted his silence in the House for two years only to speak on Admiralty business. On Perceval's assassination he left ostentatiously for Yorkshire on militia duties.5 He may not have been averse to inclusion in a Wellesley ministry, which did not materialize. At the risk of offending his patron at Ripon, and following his brother's line, he voted for Canning's motion for Catholic relief, 22 June, though he spoke against the Irish potato tithe bill two days later. Castlereagh's return to high office fixed his allegiance to Lord Liverpool's ministry and in September 1812 he accepted the vice-presidency of the Board of Trade (his father's former office) with a privy councillorship and a seat at the Treasury. Henceforward Robinson emerged as one of government's second-rank debaters. 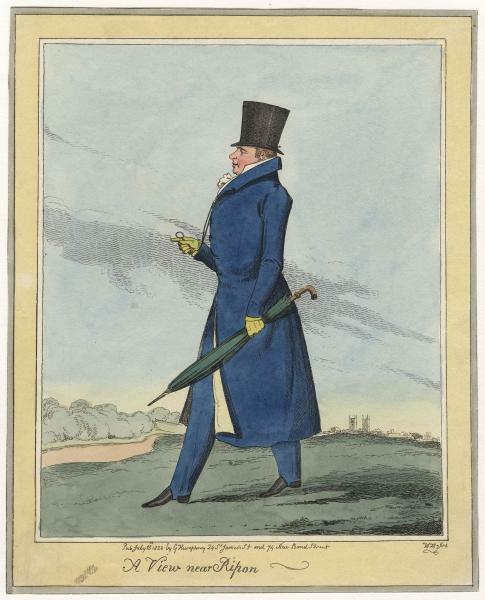 His connexion with Castlereagh, leader of the House, afterwards cemeted by marriage, encouraged it and he was acknowledged to be an improved and improving speaker, who 'spoke with vivacity and cleverness, and in a most gentlemanly tone, but wanted a sonorous flow'. Thus on 1 Dec. 1812 he replied to opposition on the progress of the Peninsular war and on hostilities with the United States, and on 7 Dec. he justified the fresh public reward of Wellington. Following Castlereagh's line, he remained favourable to Catholic relief, 1 Mar. 1813, explaining that there was no question, to his mind, of making unqualified concessions. On 18 May 1813 he spoke in his official capacity against extending the trade embargo to penalize the United States: 'nothing can be worse than the restrictive system which Buonaparte compels us to adopt'. At the close of the year, having vacated the Treasury board to become joint paymaster-general with Charles Long*, he accompanied Castlereagh to the Continent and with one break remained there until peace was concluded, full of admiration for his diplomacy. Lord Liverpool was impatient for his return.6 On 20 June 1814 he made himself useful to the ministry by cooling the debate on the Princess Charlotte's marriage intentions. His own, put into execution soon afterwards, were highly advantageous to him. In Castlereagh's absence, Robinson was his spokesman in the House. In February 1815 his official duties involved him, apparently against his personal inclinations, in presenting the proposals for agricultural protection embodied in the Corn Law amendment bill, which he introduced on 1 Mar. On 6 Mar. he secured the 80s. a quarter threshold against the import of corn from abroad. The mob repeatedly attacked his town house and on 10 Mar. he 'rose under great agitation' to rebuke Burdett for his insinuations about the mishandling of the insurgents. He did not see why he should, through misrepresentation, bear the brunt of rhe unpopularity of a measure by which he did not gain 'sixpence'.7 He had the satisfaction of publicizing the conclusion of peace with the United States, 11 Apr. 1815, and sought to contradict opposition assertions about Bounaparte's popularity in France and the negligence that enabled him to escape from Elba, 7, 20 Apr. ; he justified the resumption of hostilities against him, confident of success, 28 Apr. On 27 Feb. 1816 (as also a year later) he defended the army estimates at some length, and on 20 Mar. in the debate on the Admiralty salaries denied that officials were overpaid: he himself held two offices but drew the emoluments of only one of them. In the debates on agricultural distress, he claimed, 7 Mar. 1816, that the outcry against the Corn Law amendment had proved groundless, and in questioning the efficacy of a committee of inquiry, 28 Mar., claimed that government's tax concessions would sufficiently relieve agriculture. He was averse to the attempt to turn 'the protecting into prohibitory duties', except in the case of the Irish butter trade, and he went on, 25 Apr., to refuse to abolish the transit duties on foreign linen clamoured for in Ulster, wher he was consequently burnt in effigy. On 7 May he replied to Brougham's arguments, based on 'a complete fallacy', in favour of retrenchment in government departments. He justified the suspension of habeas corpus, 25, 26 Feb. 1817, rebuking Burdett for maligning the gentry of England and defending Castlereagh's nomiation to the secret committee of which he too was a member. On 13 Mar. in a a sensitive reply to Brougham's motion on manufacturing distress he pointed out that in the post-war recession, government could not equitably offer relief to certain sectors at the expense of the whole. He opposed abolition of the slat duties without a substitute source of revenue, 25 Apr. On 22 May, clashing with Peel, he came out in favour of repealing the transit duties on foreign linen. He refused bounties for the Newfoundland trade, 3 July 1817, and refused to blame the Spanish government for resorting to protective duties against English goods, as long as the English themselves relied on such duties, 11 F?eb. 1818. On 5 Mar. he opposed a motion condemning government for its employment of informers against sedition, claiming that the allegations made were largely false. Much as he disliked legislative interference in industrial experience, he concluded the need to regulate child employment in the cotton factories, 27 Apr. He tried in vain to secure exemption for his old school from Brougham's proposals for inquiry into the abuse of charitable foundations and clashed with him on the subject, 8, 13 May, 3 June 1818. Robinson was prominent neither in cabinet nor in debate in the first session of Parliament of 1818.9 He opposed a bid to extend agricultural protection, 22 Jan. 1819. He was placed on the secret committee on the Bank, 3 Feb. On 25 Feb. he defended the Duke of York's grant under the Windsor establishment bill. Officially he was preoccupied with the convention with the United States on fishing rights in North America, for which he introduced legislative sanction, 26 Apr. He was an opponent of legislative interference in wage regualtion, 13 May. He defended the foreign enlistment bill, 10 June. On 13 Dec. 1819 he defended at length the bill to prevent seditious meetings, claiming that it was necessary to deal with 'a frightful abuse'. A diligent and shrewd administrator, he remained a somwewhat reluctant debater and the strain of high office, particularly when he was called on to form a government in 1827, proved too much for him.10 He died 28 Jan. 1859. 1. Add. 35706, f. 327. 2. Add. 35646, f. 26. 3. Geo. III Corresp. iv. 3444; Malmesbury Diaries, iv. 380, 388. 4. Geo. III Corresp. v. 3643, 3787, 3870; Add. 35648, ff. 1, 177, 406; Canning and his Friends, i. 316, 317; Colchester, ii. 212. 5. Phipps, Plumer Ward Mems. i. 438; Malmesbury Letters, ii. 280. 6. Heron, Notes (1815), 13; Brydges, Autobiog. i. 200; Castlereagh Corresp. i. 125; ix. 459; x. 8. 7. Geo. IV Letters, ii. 537. 8. Ibid. ii. 733; Spencer mss, Lady to Ld. Spencer, 26 Jan. 1818; HMC Fortescue, x. 443; Colchester, iii. 38; Ward, Letter to Bishop of Llandaff, 137. 9. Castlereagh Corresp. xii. 55; Arbuthnot Corresp. (Cam. Soc. ser. 3 lxv), 15. 10. Colchester, iii.201; Geo. IV Letters, ii. 896; W. D. Jones, Prosperity Robinson (1967), the latest biography.